All accommodations on Maaspark Boschmolenplas are very spacious. The apartments are comfortably furnished and equipped with all comforts. You have the choice of various types which are suitable for six persons, but which all have their own characteristics. The harbour accommodation (NL-6097-09) has a roof terrace and garden with a view of the harbour. The water accommodation (NL-6097-10) is located on the lake or harbour delta. The fen accommodation has an extra spacious bay window with an expansive view of the water. 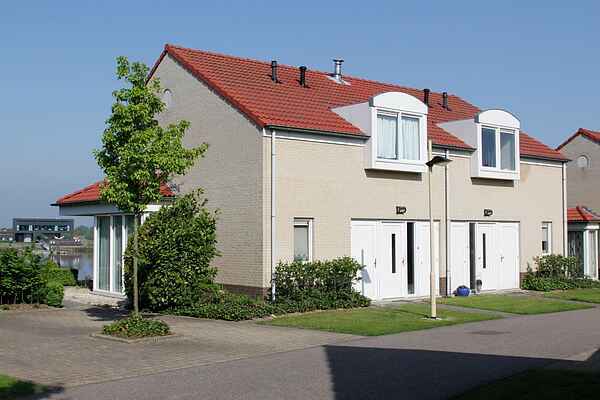 The garden accommodation (NL-6097-12) has a charming garden, ideal for the kids. The so-called VIP villas are suitable for 4 persons and come in 2 variations; The wellness villa (NL-6097-13) is fully furnished and has a sun bed, sauna and whirlpool. The water villa (NL-6097-14) has an infrared sauna and also has a very spacious roof terrace with a lovely view. It is only a question of choosing the accommodation that is right for you.